Is my dog a chow? As the title asks.. 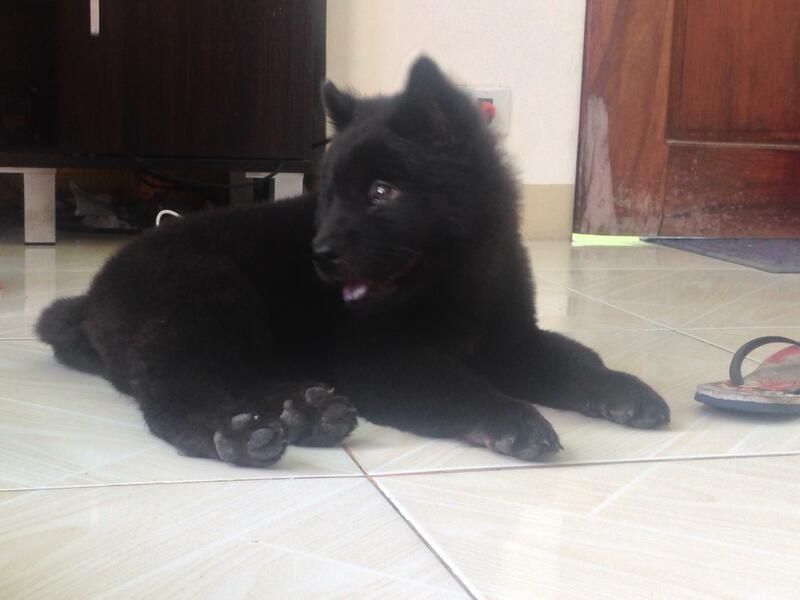 I would like to know if my son's puppy really is a Chow.. I bought him when he was 2 months old a pet store, where they gave me an option to process tge puppy's paper or to get the puppy cheaper without papers. I opted for the cheaper option because my budget really isnt that much and my son did want the puppy so bad. I did my research and everything was chow chow for my untrained eye. 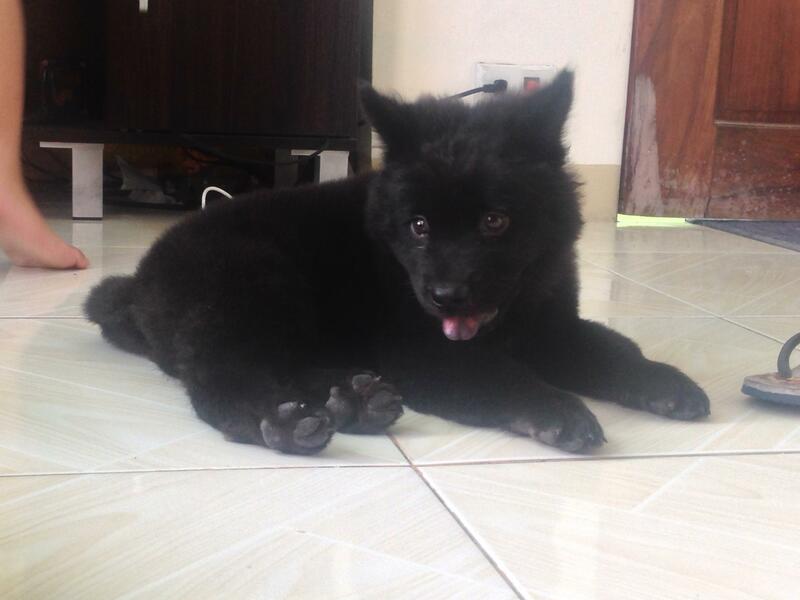 Pointed ears, the tail, straight hindlegs, big paws, fluffy but his tongue at 2 month old wasn't black. I did read that chow chows aere born with pink tongue and they start to get that black blue distinct tongue at 8-10 weeks. I did check the puppy's tounge and it did have black pigments on it (like the current black spots in the photo below) and the pet shop owner told me that it'll eventually get darker. Our puppy is turning 12 weeks already and as you guys can see. 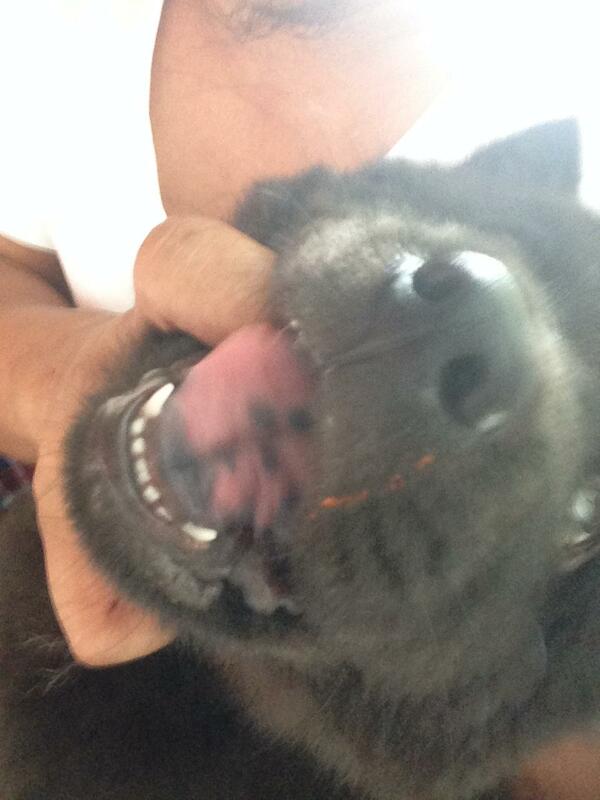 His Jaw and gums are black but his tongue still remains dominated with a normal pink color. Will it eventually turn black? Does my son's puppy look like chow chow for you guys? I would really like to here your opinions here guys. Even if he isnt chow, Im pretty sure that we wouldn't care about him less, I just really want to know if he is a chow chow like the pet shop told me. I don't know enough to comment on the Chow Chow appearance. We had a Chow mutt. You can spend some money and there are companies you can send a saliva swap to and they will give a profile of the breeds. We did that with our dog and it seemed pretty accurate based on her appearance. Andoks wrote: As the title asks.. I would like to know if my son's puppy really is a Chow..
We had a pure bred chow from a reputable breeder that at 8 weeks had a similar spotted tongue and was designated a "companion" chow (non show material as a result of the tongue). The tongue eventually over the first year or two became all blue-black. He sure looks all Chow to me, and I've had 5.